This is what they call a statement ring! 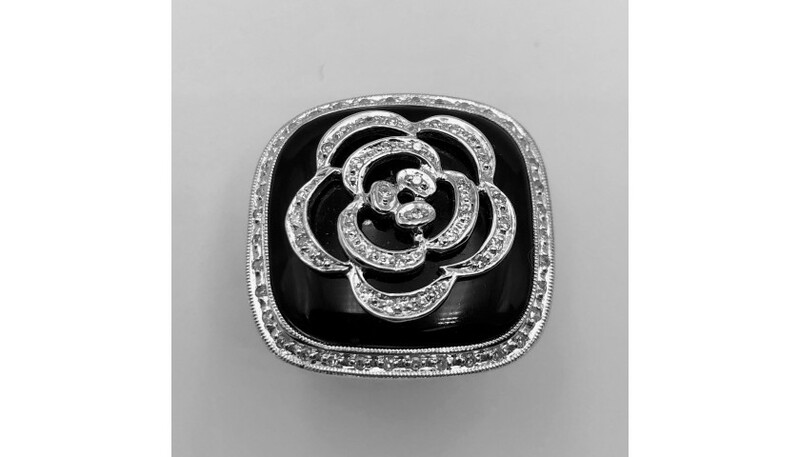 The cushion shape black onyx is framed with a milgrain and diamond outline. 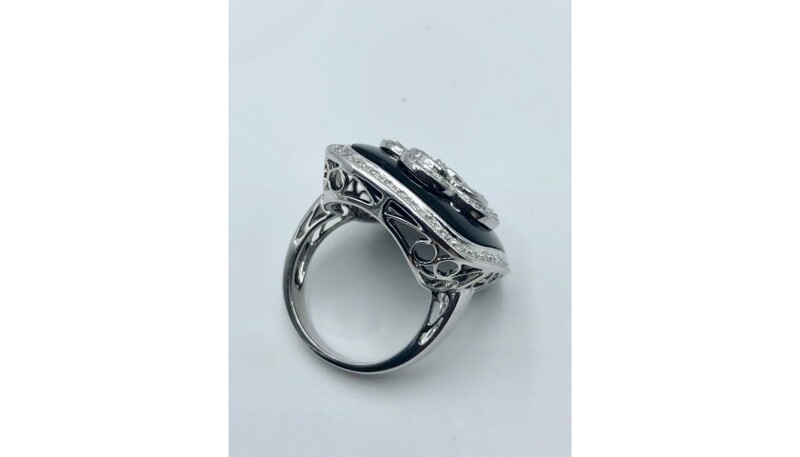 The focal point of this ring is the floral overlay in the center made of white gold and sparkling diamonds. 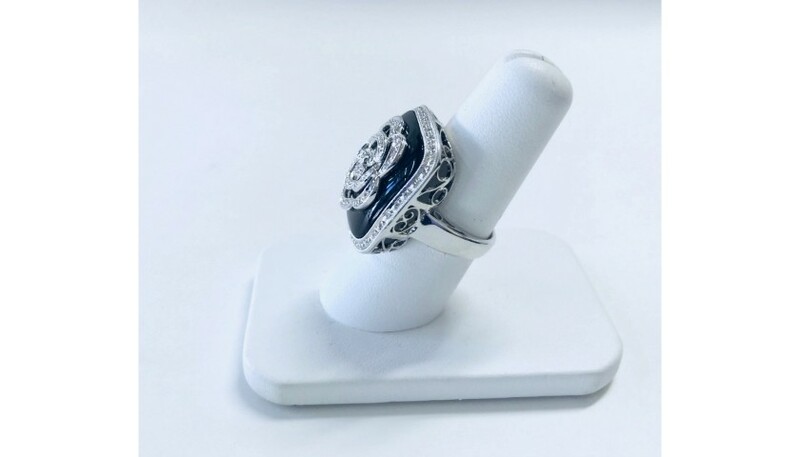 The filigree design on sides of the ring is the perfect finishing touch!